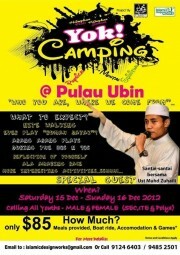 No plans during the December holidays? 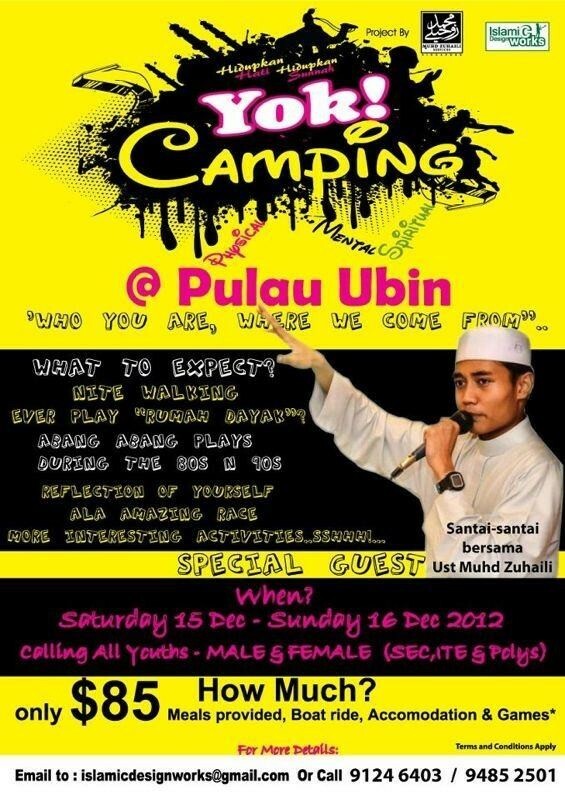 Why not sign up with your friends to this Adventure camp instilled with Islamic values held at Pulau Ubin. Recharge your physical, mental & spiritual strength during the holidays. Ni kem untuk lelaki jer? Ni kem untuk yang bertudung ker? Ni kem - islamic kem ker ? Ni kem , apa yang bole learn? If you hear the call to prayer, then say something like the muezzin says.